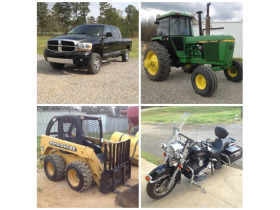 Spring Equipment Auction - Online Only 2015 | Taylor Auction & Realty, Inc. This will be a very large auction. Bidding assistance day of Auction at our Facility!!! 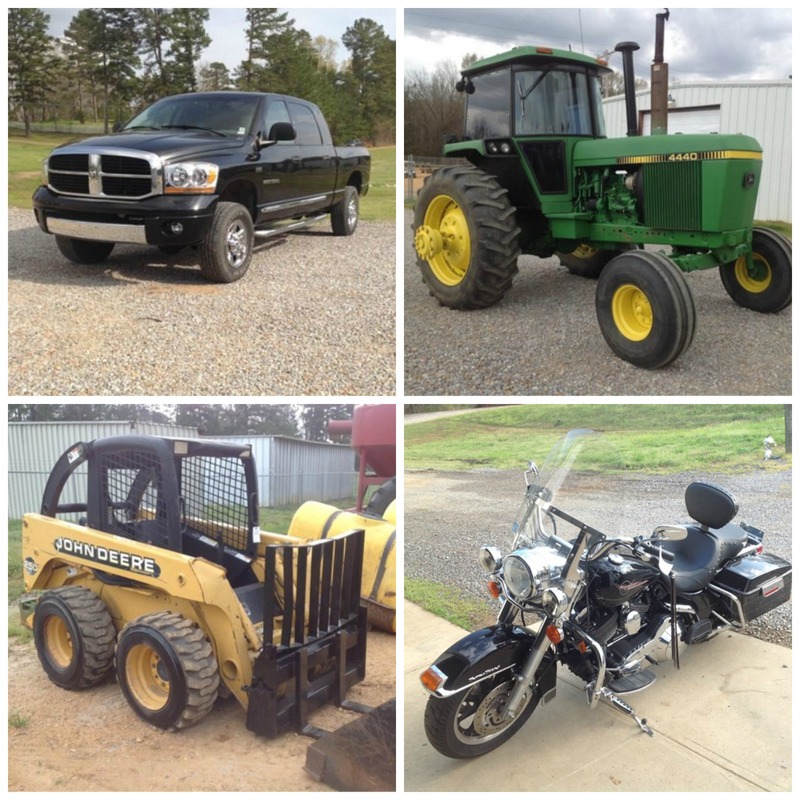 Taylor Auction Facility, Grenada, MS.
No sales tax will be assessed on any titled vehicle. Tax on titled vehicles will be paid in the county where you title the vehicle in your name. 7% sales tax will be charged in regard to all other items. If you are an out of state bidder and are the successful purchaser; please complete a certificate of interstate sales and bring at pickup. This form is required by the Mississippi State Tax Commission for out- of- state buyers in regard to exemption of Mississippi Sales Tax. Further Payment Instruction: Electronic bank transfers for final payment of purchases must originate from an account of the registered buyer or the business the buyer represents. The transfer must include the bidder number and the invoice number. After April 24, 2015: If you are unable to remove your purchases until later, please call us at 662.226.2080. If we concur, you are not intending to remove the items in a timely manner and/or bring payment; your credit card will be charged the amount due. In addition, a storage fee of $20.00 a day will be charged to your credit card. If buyer does not pick up items or make payments up to date on merchandise, the buyer will be flagged for all MarkNet auctions. This includes all auction companies that are a part of the www.MarknetAlliance Organization.marknetalliance.com. This means, you will not be able to bid on any online auction of the forty-five auction companies associated with MarkNetAlliance. All bids are subject to acceptance by the AUCTIONEER/AUCTION COMPANY. No bid shall be deemed a valid bid until accepted by the Auctioneer. If you are the successful bidder, you agree to pay the amount of your bid plus all taxes and premiums in accordance with all written or oral terms and conditions of the auction. Winning high bidders will be notified by email when all items in the auction have closed. Bidders are responsible for checking their email to receive notification that they have won a lot(s). By placing a bid, you agree to all of the terms and conditions which may be set forth by each individual auction company and expressly acknowledge and affirm that you have read and are familiar with the terms and conditions of each individual auction company as well as each term and conditions of each individual auction. The Auctioneer/ Auction Company has the sole discretion, to advance the bidding and may reject any and all bids which in the Auctioneer’s sole discretion does not advance and/or injurious to the auction, including but not limited to minimal suspicious and/or suspect advances. The Auctioneer shall have sole discretion in deciding the successful bidder in the event of a bidding dispute. All sales are final upon the determination of the successful bidder by the auctioneer. By placing a bid, you acknowledge that your bid is a legally binding offer to purchase the item or property being auctioned. Times shall be of the essence.  Taylor Auction & Realty, Inc. reserve the right to withdraw or re-catalog items in this auction. ALL PROPERTY IS SOLD ’AS-IS’ and ALL SALES ARE FINAL . The property is open to thorough public inspection. Due Diligence is the responsibility of the bidder. It is the Bidder’s responsibility to determine the nature, condition, age, genuineness, value, state of title or any other decisive factor for each item purchased. Taylor Auction & Realty, Inc. may attempt to describe the merchandise in advertising, on the internet and at the auction but makes no representations. Printed statements or descriptions by staff are provided in good faith and are matters of opinion. In no event shall Taylor Auction & Realty, Inc. be held responsible for having made or implied any warranty of merchantability or fitness for a particular purpose. The bidder shall be the sole judge of value. Bidders who bid from off-site understand and acknowledge that they may not be able to inspect an item as well as if they examined it in person. Taylor Auction & Realty, Inc. will not be responsible for any errors or omissions in the description of the merchandise. The bidder agrees that everything is sold as is and that they may not return any item they purchase. There shall be no returns or exchanges. NEITHER THE COMPANY PROVIDING THE SOFTWARE NOR THE AUCTION COMPANY SHALL BE HELD RESPONSIBLE FOR A MISSED BID OR THE FAILURE OF THE SOFTWARE TO FUNCTION PROPERLY FOR ANY REASON. Taylor Auction & Realty, Inc. provide online bidding as a service to Bidder. Bidder acknowledges and understands that this service may or may not function correctly the day of the auction. Under no circumstances shall Bidder have any kind of claim against Taylor Auction & Realty, Inc. or anyone else if the internet service fails to work correctly. Taylor Auction & Realty, Inc. will not be responsible for any missed bids from any source. The successful purchaser agrees to pay any and all reasonable attorney’s fees and costs incurred by the Auction Company, the seller and/or their servants, agents or employees in the commencement or defense of any actions hereunder as well as in the collection of any obligations hereunder. The purchaser agrees that a fee of 2% per month be added to the balance of any unpaid balance due the Auction Company and any other costs or losses incurred by the purchaser’s failure to adhere to these terms. Any debt collection and all disputes which may arise by virtue of this auction sale or stemming from this auction sale shall be in the Appropriate Court in Grenada County, Mississippi. Choice of Law: The Law of the State of Mississippi shall govern the interpretation of any and all disputes or other matters relating to the subject sale and/or stemming from this auction sale. Bidder acknowledges that no relationship of any nature or type, agent, employee, independent contractor or otherwise is created between bidder and the auctioneer, affiliated auction companies, affiliated software companies and/or any servant, agent or employee of the same by bidder’s participation in this auction. Bidder acknowledges and agrees that Auctioneer is acting solely as the agent for the seller in this auction. Disclaimer of warranties: There are no understandings,agreements, representations or warranties, express or implied not specified herein, respecting this contract or the item or property sold hereunder,including but not limited to the merchantability or fitness for a particular purpose. Please remember to REFRESH your screen to find out if you have been outbid. To refresh your screen, you need to click on `RESET CATALOG` or REFRESH ALL for the whole page to refresh or use the refresh button on your browser. This is most important at the end of the auction. YOU MUST REFRESH THE SCREEN TO KEEP THE TIME ACCURATE. Our auctions use the Auto-Extend feature. The basic rule is, there must be a minimum of 5 minutes for a bidder to react to a bid. If there is a bid placed in the final 5 minutes for an item, the ending time for that item is automatically extended to allow the 5 minute reaction time. If another bid is received during that 'extended time,' the ending time is extended again--and again, if necessary, for 5 additional minutes for each extension. This continues and repeats until there are no more bids submitted. This 'Auto-Extend' feature allows the bidding process to be more fair for every bidder and gives all bidders a chance to respond to any last-minute snipe bid(s). Items are Auto-extended ONLY if a bid is placed within 5 minutes of the scheduled closing time. This online feature uses a staggered ending time. If the auction is scheduled to end at 6:00 pm the first item is scheduled to end at 6:00 pm and each item after the first will end in set staggered intervals.